D. Candis Paule, CSA, is a casting director/owner of Candis Casting, and the casting director for Stu Segall Productions. She has cast Pitch (Fox), The Ex List (CBS), Terriers (F/X) and nearly 3 seasons of Veronica Mars (CW). Along with several episodics for Fox’s My Network, she has helped cast a variety of pilots and movies of the week. Feature film credits include Flying By starring Billy Ray Cyrus and Heather Locklear, and Obedient Son, a WWII drama shot in Romania. She has also cast hundreds of commercials and industrials. Candis' theater experience includes directing and producing, and she has been seen throughout the country as an award-winning actor. 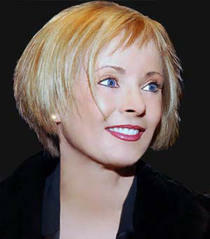 In addition to voice-over work and private coaching, Ms. Paule teaches on-camera classes with Actors For Reel. Gary Kramer is a producer, director and actor and is currently the Artistic Director and founder of the National Comedy Theatre. His production of the National Comedy Theatre is currently the longest running show in San Diego, with over 4000 performances since opening in 1999. In addition to the San Diego production, Gary also directs the New York company of the show and has taught extensively for over 20 years. He has participated in countless shows across the country as well as internationally through 4 USO tours, where he performed in places such as Iraq, Kuwait, Germany, Greece, Italy, Spain and Belgium. As a performer, Gary has also appeared on television, film, commercials and radio and earned a BFA degree from Emerson College in Boston. Gary is a co-founder and sat on the Board of Directors of the cancer foundation Cancer411. He currently serves as Executive Director of the SDPAL. Sandra L. Simmons is the Executive Director of Horton Plaza Theatres Foundation, a public non-profit that operates and maintains the Lyceum Theatre in Horton Plaza. Sandra moved to Downtown San Diego in early 1992 and has participated extensively in its renaissance and urban rebirth through serving on numerous community boards, as the Downtown Information Center Manager for Centre City Development Corporation (the Downtown redevelopment entity), and by meeting new neighbors through her former company, Viva-city. As a long-time urbanite, she enjoys and imbibes the numerous arts and cultural events happening within our city. Her mission is to further San Diego as a vibrant arts and cultural magnet. Sandra is a graduate of Oregon State University. 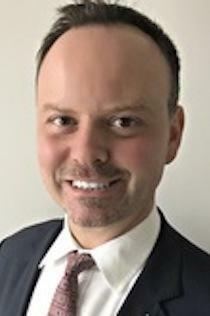 Cliff Boro is a Managing Partner and Co-Founder of the Team Group. Previously, Cliff served for six years as the Co-Founder and CEO of Zui.com until its sale to Saban Capital. For his work at Zui, Cliff was named a White House Champion of Change. Prior to Zui.com, Cliff was the Managing Partner of CVT Ventures, a venture-development company that was dedicated to helping entrepreneurs form and accelerate their businesses. On behalf of CVT, Cliff was the founding Chairman of Say Media, the founding Chairman of mSnap (sold to MarketTron). Cliff is also the former CEO and Co-Founder of Infogate until its sale to AOL Time Warner. Cliff began his career working in the hedge fund industry and worked at both Steinhardt Partners and Soros Fund Management. Jay is originally from Northern California, but has enjoyed calling San Diego home for the past seven years. Jay attended Chico State University with a major in marketing and sales. He is currently a Vice President, District Manager for U.S. Bank, having spent the past 12 years in various roles throughout California. Jay was a recipient of the “40 under 40” award in Sacramento given by the Business Journal, and was instrumental in expanding the U.S. Bank retail market in Northern and Southern California through training support of bank acquisitions. Jay is heavily involved with a number of local non-profit organizations, and is on the Board of Directors for Rebuilding Together San Diego, City Ballet of San Diego, Diversionary Theatre, and the San Diego Performing Arts League. Jay was a 2017 graduate of LEAD San Diego. Jacole Kitchen is the Artistic Programs Manager at La Jolla Playhouse. 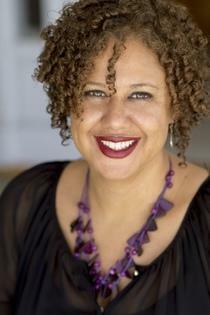 Previously, Jacole served as the Casting Director and Artistic Associate for San Diego Repertory Theatre. She is a freelance theatre director, with recent credits including, An Iliad (New Village Arts), September and Her Sisters (Scripps Ranch Theatre – Out on a Limb New Play Festival), and Cardboard Piano (Diversionary Theatre). 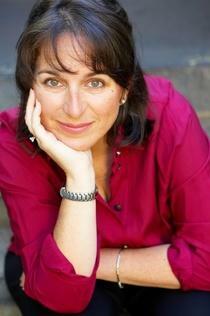 Jacole teaches acting, improv and professional etiquette for UCSD Extension, and is a private acting coach. Prior to coming to San Diego, Jacole spent seven years as a bi-coastal talent agent at Kazarian/Measures/Ruskin & Associates in Los Angeles, representing actors, directors, and choreographers for professional theatre. A trained musician and avid follower of the performing arts, Dianne Lookabaugh brings to the SDPAL board the history of having served as Associate Director of the Performing Arts League from 1987-1998. During that time she helped develop a number of programs to support and market San Diego’s arts community. Dianne returned to school to study design, and then got involved in home remodeling and investment in rental properties. 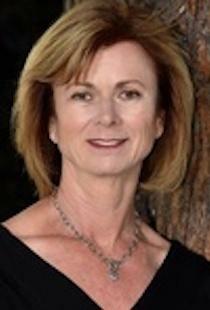 Dianne is currently a Realtor with Real Living Napolitano Real Estate in Coronado. 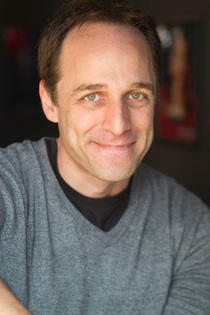 James Saba joined San Diego Junior Theatre as Executive Director in September of 2013. A native San Diegan, he is also a proud alumnus of the program! James spent 20 seasons at Hope Summer Repertory Theatre (HSRT) in Holland, Michigan, where he was Artistic Director of HSRT’s Children’s Stage. 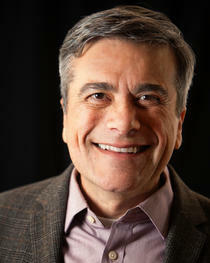 As a freelance director, he has worked at Webster University, Diversionary Theatre, Lamb’s Players Theatre, and was Craig Noel’s assistant on four productions at the Old Globe Theatre. At Junior Theatre he directed the San Diego premiere of The Burnt Part Boys, It’s a Bird…It’s a Plane…It’s Superman, Goodnight Moon, and Akeelah and the Bee. James has a long history as an actor in regional theatre (Actor’s Theatre of Louisville, Cincinnati Playhouse, Alabama Shakespeare Festival, San Jose Repertory Theatre, and Cleveland Playhouse) and on many local stages. Most recently, he has been seen in Travels With My Aunt (North Coast Rep) Hay Fever/The Vortex (Cygnet Theatre) and His Girl Friday (La Jolla Playhouse). An architect by profession, Ron Tov is an avid theatergoer and supporter. Having lived in San Diego since 1960, Ron has witnessed phenomenal growth and change in San Diego's performing arts scene. 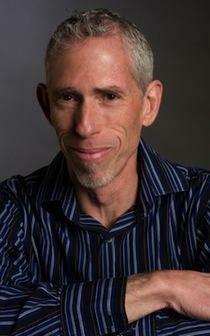 In 2009, Ron produced the San Diego premiere of the Off-Broadway musical Zanna, Don't!. Ron joined the SDPAL Board in September 2009, and is currently serving as the Finance Committee Chair.